Transmits signal in greater fashion compared to other cables on market, due to oxygen-free high copper purity and higher strand count per wire. Connectors terminated to cable with silver solder. Outer jacket designed for longer lasting against wear. High standard of excellence in the recording studio, and being used in live performance shows as well. Optimal length for standard uses as microphone cable or patching sound processing devices. 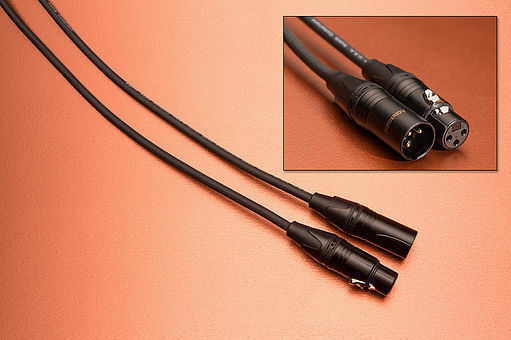 See also 15', 25' and 50' lengths, and choice of right angle XLR for tight space needs.